Dr. Ana Grgić is a Lecturer in Screen Studies at Monash University Malaysia, with a PhD in Film Studies from the University of St Andrews, Scotland (UK). Her research explores under-researched and peripheral regions and areas of Film Studies (Balkans, Eastern Europe, small national cinemas), in order to examine how these reflect, contribute to and challenge dominant discourses (Eurocentrism, ethnocentrism, neocolonialism) in world cinema and filmic representations. She received her Master Degree from the University of Sorbonne Nouvelle Paris in 2011, with a dissertation on film restoration theory and cinematic image-matter. She also worked in the film industry for several years, starting her career on the set of HBO’s hit television series Rome in Cinecittà, Italy, and later joined the visual effects industry in London’s Soho district (The Moving Picture Company, CBS production’s American Assassin, Fox production’s Bohemian Rhapsody). Prior to this, she completed a Double BA in Visual Arts and International Studies at the University of Western Sydney, Australia, and briefly collaborated with the Australian Cinémathèque and Queensland Gallery of Art on a Peter Greenaway retrospective and an exhibition of contemporary video art and cinema practice from across Asia and the Middle East. Her research and writing has been published in international scholarly journals (Studies in Eastern European Cinema, Short Film Studies, Film Quarterly) and edited collections (The Film Festival Yearbook, Cinemas of Paris). She was co-editor of a special issue on Albanian cinema published in KinoKultura (2016), and is currently working on a monograph based on her doctoral thesis focusing on early cinema in the Balkans, archives and memory, forthcoming with Amsterdam University Press. Her co-edited collection with Dr Lydia Papadimitriou, Contemporary Balkan Cinema: Transnational Exchanges and Global Circuits, a transnational and cross-cultural study of contemporary trends and issues in recent Balkan cinema after the 2008-crisis, is forthcoming with Edinburgh University Press. She regularly follows Balkan cinema on the festival circuit, and writes reports, film reviews and interviews for the online journal East European Film Bulletin. Ana is currently acting as a co-chair for the SCMS Central/East/South European Scholarly Interest Group, and she is ambassador of Balkans Beyond Borders, a travelling short film festival for young filmmakers from the Balkan region. While completing her PhD, she co-convened an international Postgraduate Conference on “Expanded Cinema” at the University of St Andrews. In November 2015, she organised a roundtable “New perspectives on old films: Albanian cinema during the Kinostudio era 1954 – 1992” in collaboration with EHESS - Cetobac and a screening of the Albanian classis Tomka and His Friends (Xhanfise Keko, 1977). Part of her public outreach activities, Ana also gave a public talk on a film preservation showcase at the Albania Cultural Association (Paris) in Nov 2016, and curated a Balkan short film program for the 21st edition of Festival Regards sur le Cinema du Monde in Paris and Rouen (Jan 2016). As president of the cultural association, Balkan Cultural Centre (Croatia), she co-organised a year-long film literacy travelling program, the 5C project in 2016 (funded by Creative Europe Media programme, and Croatian Audiovisual Centre), and as a Board member of the Albanian Cinema Project she assisted in the Archives in Motion film preservation and training workshops held in October 2016 (funded by the Albanian Ministry of Culture and a crowdfunding campaign). 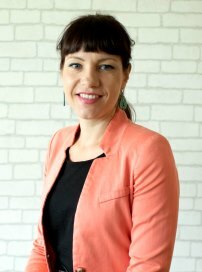 Dr Ana Grgic’s research interests are in film history, visual culture, philosophy, affective theory and embodiment, archives and memory, with a particular focus on East European (especially Balkan) and World cinema. Her work explores under-researched and peripheral regions and areas of Film Studies (Balkans, Eastern Europe, small national cinemas), in order to examine how these reflect, contribute to and challenge dominant discourses (Eurocentrism, ethnocentrism, neocolonialism) in world cinema and filmic representations. In her writing, she uses a transnational approach and comparative critical analysis to examine inter-cultural representations and questions surrounding ethnic, national and global identities in flux. Her doctoral thesis employed affect theory and memory studies to analyse the relationship between moving images and the spectator’s perceptual experience in early cinema in the Balkans. Based on original archival research conducted in film archives across the region, it constitutes the first study on early cinema in the Balkans from a transnational perspective (monograph forthcoming with Amsterdam University Press). This methodology allowed for a cross-cultural examination of cinema activities by local filmmakers, and film distribution and exhibition of local and foreign companies. She published portions of her research in Studies in Eastern European Cinema, which was awarded Best Doctoral Student Article at BAFTSS 2017. Recently, she has explored questions of cultural memory, food and identity in European cinema in essays (EEFB), roundtable presentations (Balkans Beyond Borders), and through workshop participation (Linnaeus University Centre for Concurrences in Colonial and Postcolonial Studies). Since, Ana has continued to study the diverse portrayals of food practices in contemporary world cinema, and is particularly interested in exploring how moving images of food, eating and cooking practices confirm or digress from stereotypical representations of ethnic, national, gender and cultural identities of diverse refugee, migrant, and diaspora groups. This research expands her expertise in new directions, the analysis of reception of moving images, with a focus on multi-sensory perception and taking into account the importance of senses in understanding complex memory processes and identity formations. She is also working on an edited collection with Dr Lydia Papadimitriou, provisionally entitled; Contemporary Balkan Cinema: Transnational Exchanges and Global Circuits, which aims to provide a critical and comprehensive analysis of post-crisis trends in subject-matter and aesthetics, through a transnational and cross-cultural study of the region’s recent cinemas. Dr Ana Grgic’s expertise ranges across film history and world cinema (in particular Balkan and East European cinema) and a variety of theoretical approaches and methods in film studies (transnational, national identity, memory, affect theory, archival theory). Ana currently teaches several undergraduate units at the School of Arts and Social Sciences (Monash University Malaysia): Film histories: From 1895 to the present, Digital Screens and Television Studies: Forms and Approaches. She has previously tutored on undergraduate Film Studies courses at the University of St Andrews, and has developed a new MA in Visual Effects at the University of Arts London. In her years as an adult educator at various private language teaching institutions in Europe and higher education in the UK, she developed a passion for student-centred teaching and learning. Her teaching approach centres around active learning and student engagement, and her seminars typically include a combination of theoretical and hands-on practical work, debate and discussion, use of primary materials and internet resources, and student research and audio-visual projects. To this end, she brings her research expertise and experience as a film industry professional to demonstrate the relationship between academic film studies and the practical aspects of making and shooting a film. Her interest in teaching and learning methodologies led her to attend a Master course in Curriculum Design and Assessment at the University of St Andrews, and upon successful completion, she was awarded the Associate Fellow of the Higher Education Academy. Grgic, Ana. (Forthcoming) Early cinema in the Balkans: Geopolitics, Archives and Cultural Memory. Amsterdam: Amsterdam University Press. Papadimitriou, Lydia and Grgic, Ana. (eds.) (Forthcoming) Contemporary Balkan Cinema: Transnational Exchanges and Global Circuits. Edinburgh: Edinburgh University Press. Heftberger Adelheid and Grgic, Ana (eds.) (2018), Women Cutting Movies: Editors from East and Central Europe. Special Issue of Apparatus. Film, Media and Digital Cultures in Central and Eastern Europe 7. Grgic, Ana, Kristensen, Lars and Peshkopia, Ridvan (eds.) (2016), ‘Special Issue 16: Albanian Cinema’, Kinokultura (On-line: http://www.kinokultura.com/specials/16/albania.shtml). Grgic, Ana. (2018) ‘Deviating memories: Armando Lulaj’s seriously playful excursions into Albania’s history’ in Pieniążek-Markovic, Krystyna and Szpulak, Andrzej (eds.) “Special Issue on Balkan Cinema”, Images - The International Journal of European Film, Performing Arts and Audiovisual Communication, Vol. 23, Number 32, pp. 49-56. Grgic, Ana. (2018) ‘Laughter and Tragedy of the Absurd: Identifying common characteristics of Balkan comedies under state socialism’ in Galijaš, Armina and Paić, Hrvoje (eds.) “Special Issue on Film and Society in South-East Europe”, Contemporary Southeastern Europe: An Interdisciplinary Journal on Southeastern Europe, Centre for Southeast European Studies, University of Graz. Grgic Ana, and Iacob, Raluca (2013). ‘Yugoslav (Hi)stories: a country which no longer exists, except on film’, Frames Cinema Journal, Issue 4 (On-line: http://framescinemajournal.com/article/yugoslav-histories-a-country-which-no-longer-exists-except-on-film/). Grgic, Ana and Tutui, Marian. (Forthcoming) ‘Who is Singing Over There? The Potpourri of Multiple Voices in Early Sound Cinema in the Balkans’. In Barham, Jeremy (ed.) Routledge Companion to the Music and Sound of World Cinema from the First 'Talkies' to the 1940s, Routledge Press. Grgic, Ana. (2016) ‘L’imaginaire de la rivière: a journey through Balkan cinema’, in Tutui Marian (ed.) Roads and Crossroads in the Balkans – Selected papers from the 2015 Divan Film Festival Symposium (Cetate, Romania). Grgic, Ana. (2016) ‘Accatone, Les Cinémas Action, Le Cinéma des Cinéastes, L’Entrepôt, Le Nouvel Odéon, Le Saint-André-des-Arts, Le Saint Germain-des-Près, Les 3 Luxembourg, and open air cinema La Villette’, in Frodon, Jean-Michel and Iordanova, Dina (eds.) Cinemas of Paris, St Andrews: St Andrews Publishing House. Grgic, Ana. (2015) ‘Heroes of the “ordinary and the everyday” in the Balkans’, in Tutui Marian (ed.) Balkan Heroes and Anti-Heroes – Selected papers from the 2014 Divan Film Festival Symposium (Cetate, Romania). Grgic, Ana. (2013) ‘Archival Film Festivals as Sites of Memory’, in Marlow-Mann, Alex (ed.) The Film Festival Yearbook 5: Archival Film Festivals. St Andrews: St Andrews Publishing House. Grgic, Ana, 2014: Visiting Fellowship. Centre for Southeast European Studies,Karl Franzens University, Stiftung Undergraduates, Graduates, Postgraduates Scholarship Foundation of Republic of Austria, RM4,500. Grgic, Ana, 2013: Mapping Constellations: early cinema in the Balkans, archives and cultural memory. The Russell Trust Postgraduate Travel Award, RM6,500. Grgic, Ana, 2013: Mapping Constellations: early cinema in the Balkans, archives and cultural memory. British Association for Slavonic and Eastern European Studies Postgraduate Research Award, RM3,250. Grgic, Ana and others (The Albanian Cinema Project) 2016: Film Preservation Summer School “AIM: Archives in Motion”. Albanian Ministry of Culture, RM5000. Grgic, Ana and others (Balkan Cultural Centre, altcine, Adriapol, Balkan Cultural Institute) 2016: Regional Film Literacy travelling program “The 5C Project. Cine-caravan: culture_city_cinema”. European Commission Creative Media Audience Development Grant, RM22,000. Grgic, Ana and others (Balkan Cultural Centre) 2016: “The 5C Project” (Split, Croatia). Croatian Audiovisual Centre, Croatian Government Office for Cooperation with NGOs and Split-Dalmatia County, RM265,000. Potential areas of supervision include film history, visual culture and moving images, archives and film preservation, affect and embodiment in film, memory and cinema, national identities in film, Eastern European cinema and Balkan cinema.